There has been much talk of a national recruitment crisis within the NHS. Now, Hull University Teaching Hospitals NHS Trust is to officially launch a “groundbreaking” campaign, helping to reverse this trend whilst having a positive impact on staff morale. The campaign is being strengthened by a series of “unprecedented” steps – including the “promise” of a job to outstanding students before they even open their results envelope. The recruitment campaign has already been hailed as a major success with the Trust snapping up almost 100 new recruits to support its 8,000-strong workforce in just two months. Championing a message which puts the emphasis on the Trust’s people and the city’s place in the world, the campaign’s launch event will give students, graduates and existing NHS professionals the opportunity to discover more of why the Trust, and the region, is the place to work and live. Specially chosen ambassadors and other selected professionals will attend a launch event, which will introduce the new recruits, provide existing staff with information about how to progress further within the Trust, and give third year nursing students the potential to guarantee their first job in the NHS. “It’s a privilege to be part of the campaign. It gives us a great opportunity to attract new talent, help everyone in the team to reach their potential, and let the whole region know what an amazing job they do. There are lots of positive things happening in the city and this is mirrored within the Trust. The Trust’s Head of Education, Dave Withers, believes the campaign represents more than a recruitment drive, having the potential to mark an exciting new chapter for the HEY Trust itself. Launching just before the area’s much anticipated year in the limelight as UK City of Culture 2017, and after Hull was named in Rough Guides’ top ten tourist attractions in the world, the secondary theme of the campaign focuses on how the region is the ideal place to live, learn, work and play. The Hull University Teaching Hospitals NHS Trust ‘Remarkable People. Extraordinary Place’ event will take place at the Clinical Skills Facility (top floor), next to the Eye Hospital, Hull Royal Infirmary at 11am on Thursday May 26th. 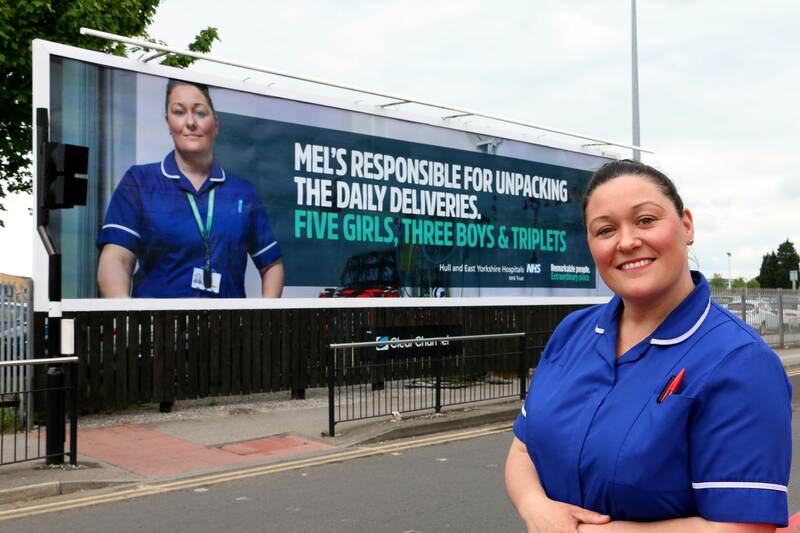 Image caption: Melanie Lee, Midwife and ‘Remarkable People’ Ambassador.